TCS Hygiene has one of the largest selection of hand paper towel dispensers. Fully enclosed - paper stays clean and dry. Lid slot shows paper status at a glance. Made of tough ABS. Bottom hinged lid for ease of loading folded hand paper towels. Fully enclosed - paper stays clean and dry. Lid slot shows paper status at a glance. Made of tough powder coated mild steel. Bottom hinged lid for ease of loading folded hand paper towels. . Vandal-proof & break resistant. Budget Buy paper dispenser. Galvanised spindle, takes standard size outer diameter reflex/auto cut paper roll. Accepts any size core. This unit has no working mechanisms, therefore it does not control paper use. Paper rolls as and when you pull, the paper is then torn off by the user with the serated edge on the dispenser. Automatic Mechanical Cutting. Hygienic - No Touch Dispensing. No levers, dials or cranks. Dispenses flat pre-measured sheets. Easy loading and fully enclosed - paper stays clean and dry. ***** This unit is NOT for high traffic areas. Needs maintenance. 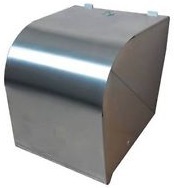 The floor and wall stands or forecourt paper dispensers, are wiping paper dispensers suitable for bulk use of wiping paper. 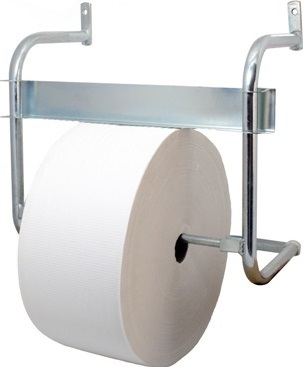 These dispenser can be loaded with different types of paper of varying dimensions up to 1500m per roll. The floor and wall stands have a milled edge so that the paper can easily be torn off. They are produced in galvanised steel. 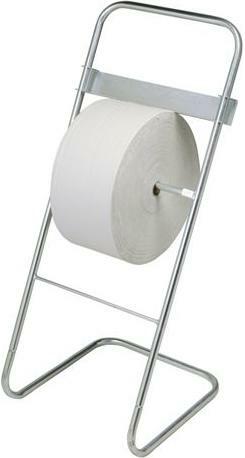 The floor and wall stands or forecourt stands, are wiping paper dispensers suitable for bulk use of wiping paper. These dispenser can be loaded with different types of paper of varying dimensions up to 1500m per roll. The floor and wall stands have a milled edge so that the paper can easily be torn off. They are produced in galvanised steel. 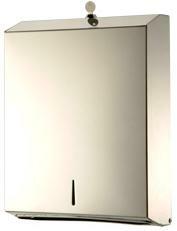 A stainless steel paper towel dispenser would look perfect in your kitchen. 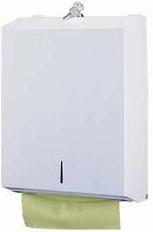 Looking for a commercial paper towel dispenser for your business? Attractive. That's what most people want in their paper towel dispensers. TCS Hygiene has the most attractive styles of paper towel dispensers around. If you're in the market for commercial bathroom paper dispenser, then TCS Hygiene has the right one for your application. When it comes to attractive paper towel dispenser, nobody beats us. We're your one-stop supplier for all our paper towel dispenser needs as well as all the refills, consumables. If you've got stainless steel finishes, then why not get a stainless steel paper towel dispenser to match? Other colors? We will manufacture to your specifications, minimum order quantities apply. Please note, our steel units are manufactured at our factory in Wynberg, Johannesburg. 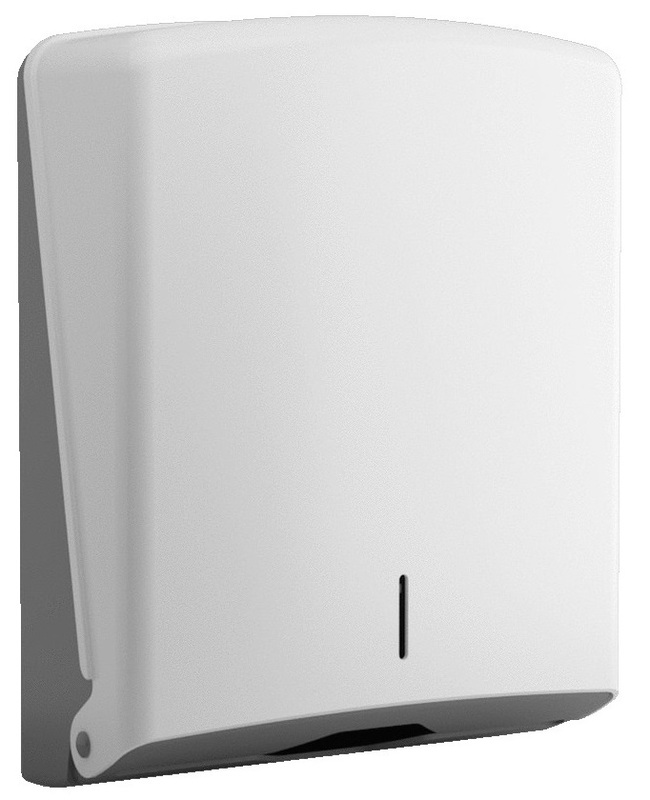 TCS Hygiene offers paper towel dispensers at the lowest prices. 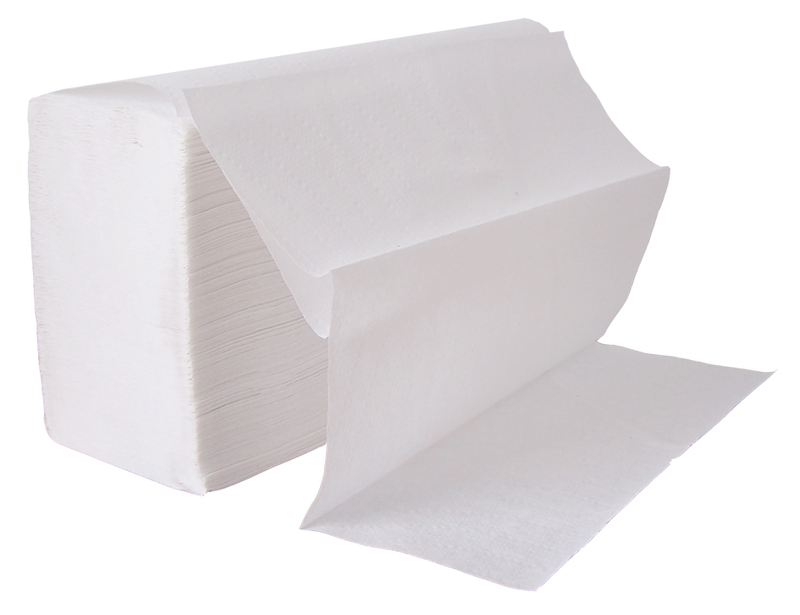 We match up replacement paper towels for your commercial towel dispenser. We have various Towel Dispensers available for different kinds of paper (roll paper and folded paper towels). Obtainable in Mild Steel Powder Coated, Stainless Steel and ABS plastic.